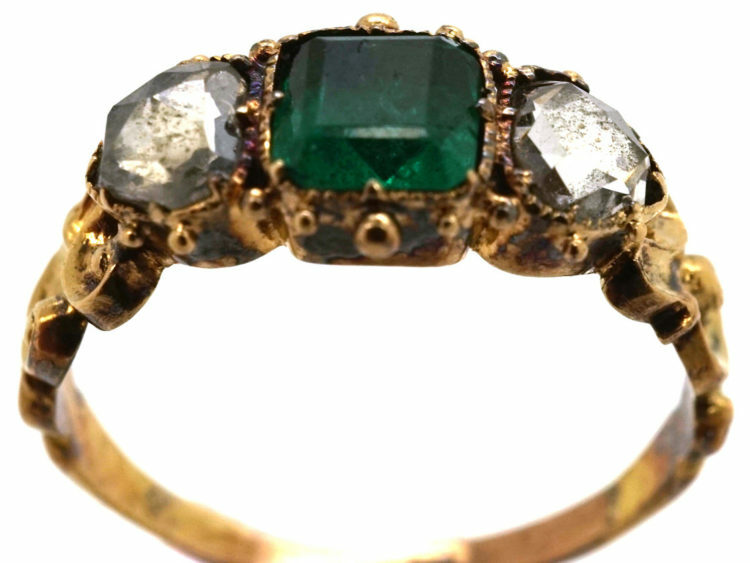 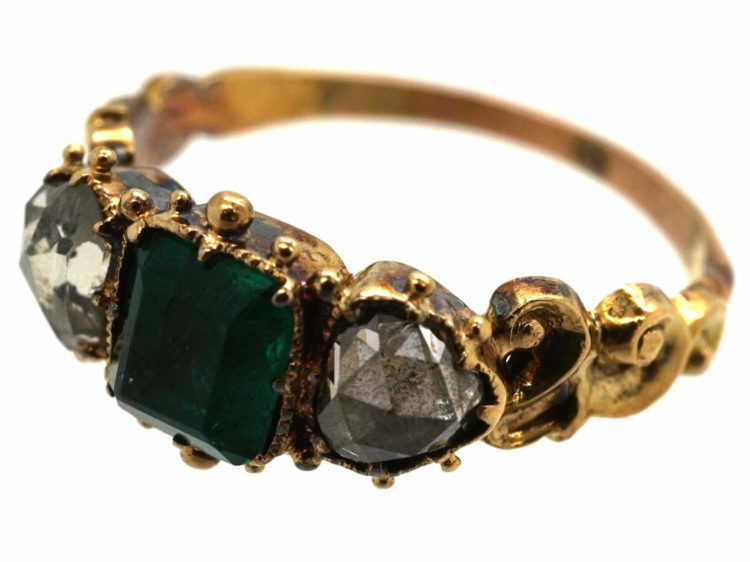 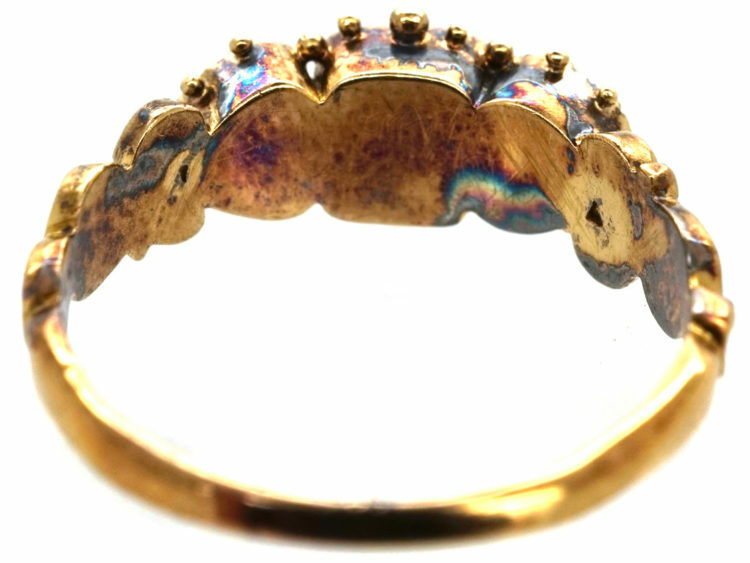 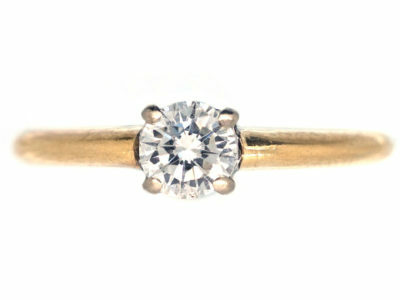 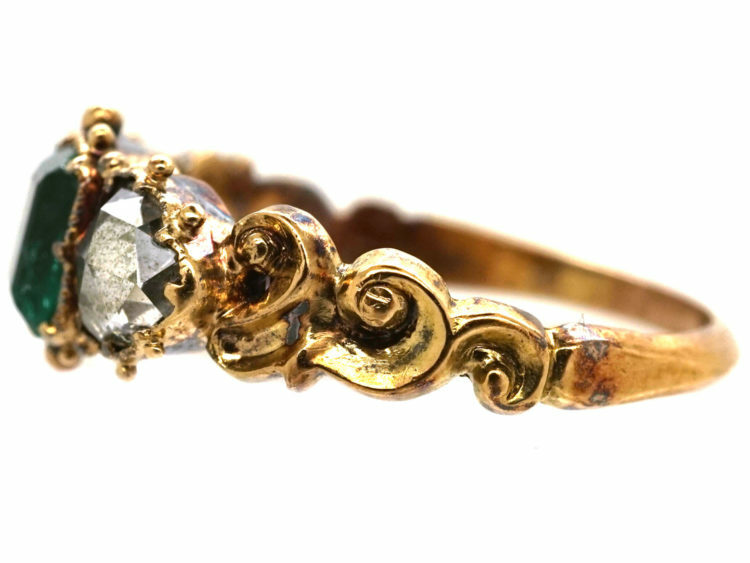 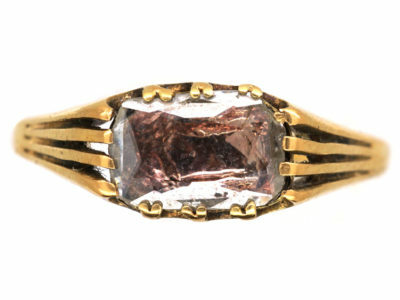 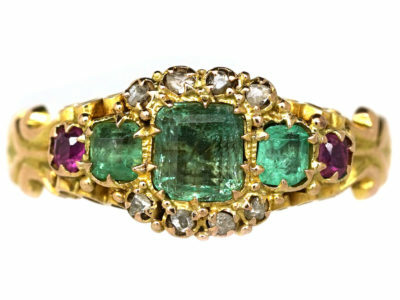 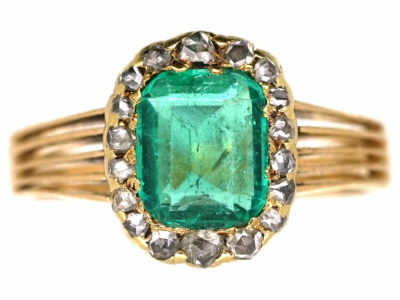 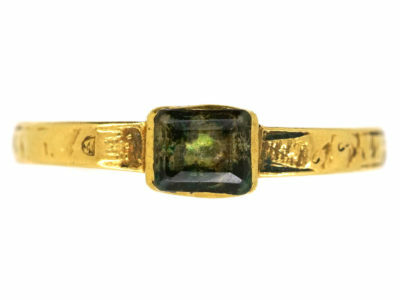 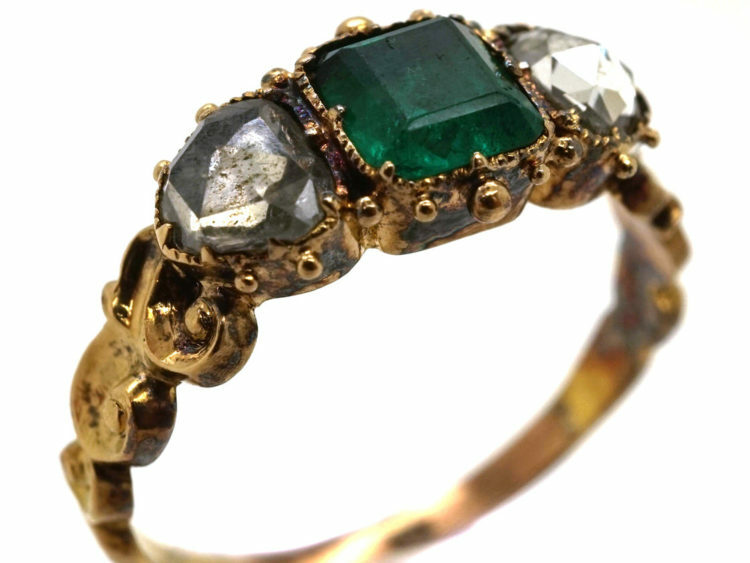 A lovely 18ct gold ring that was made circa 1820. 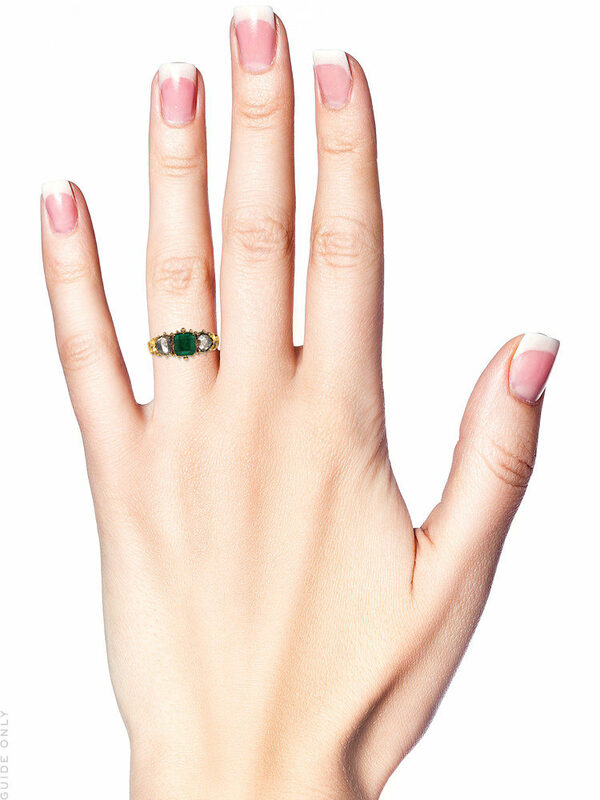 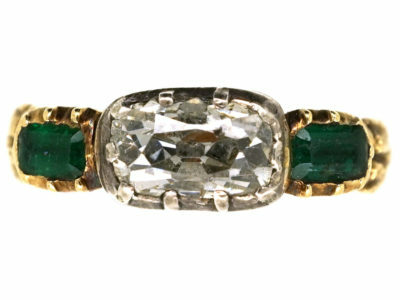 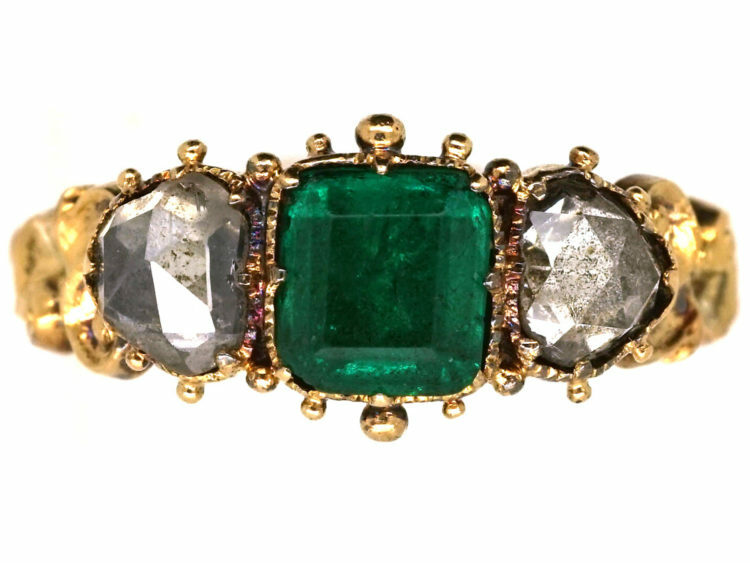 It is set with a square cut emerald with a rose cut heart shaped diamond on either side. 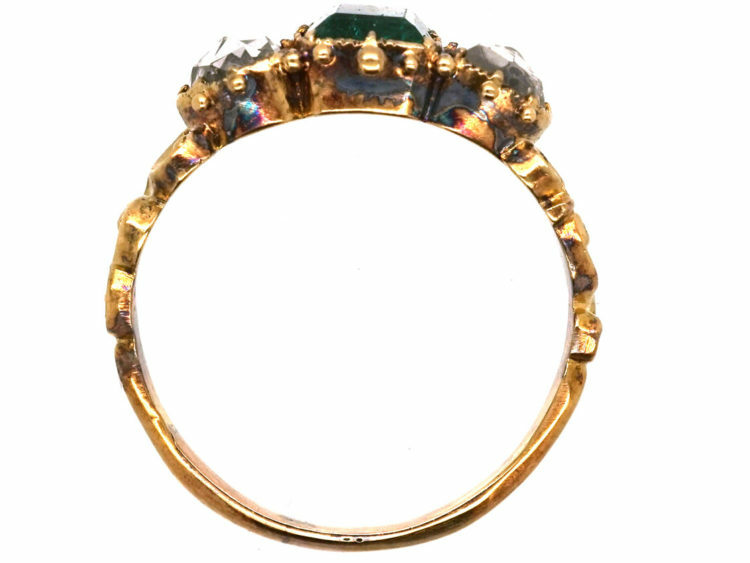 The shoulders are decorated with scrollwork. 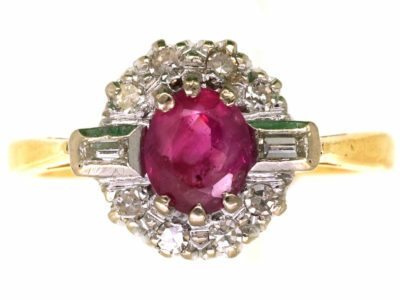 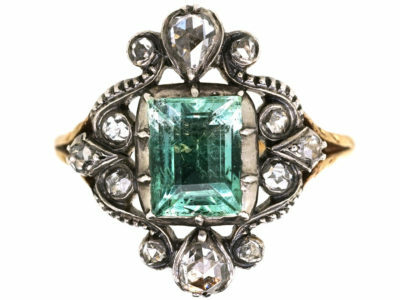 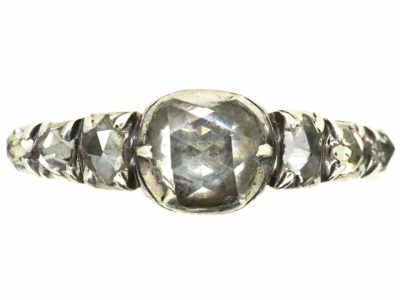 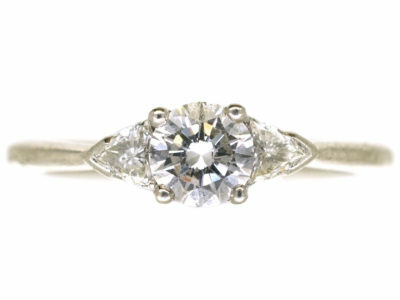 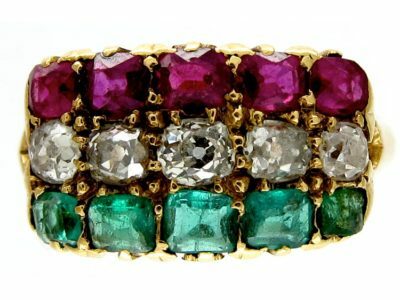 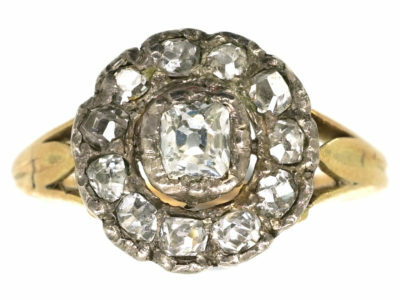 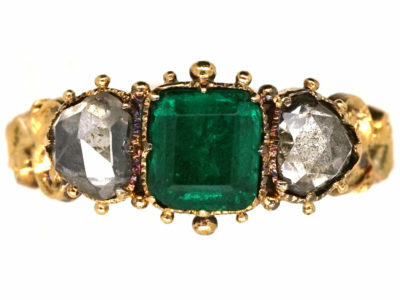 It would most probably have been a token of love when it was originally given, and would be ideal to be given again as an engagement or dress ring.